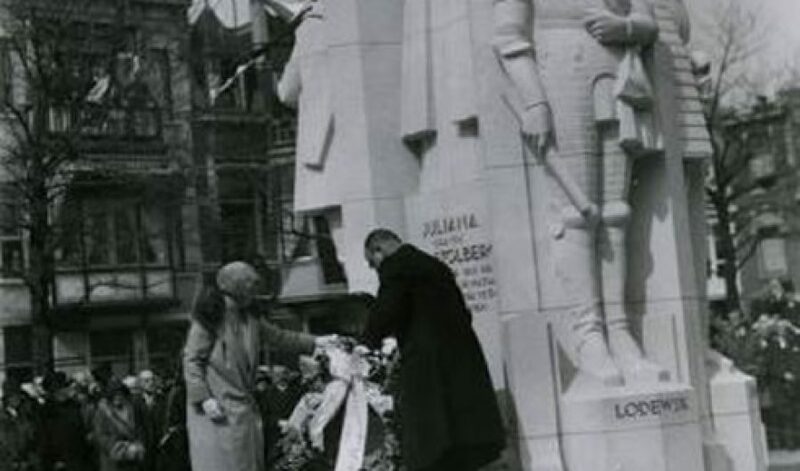 The Juliana van Stolberg monument survived the bombardment and is now the place where each year the commemoration takes place. 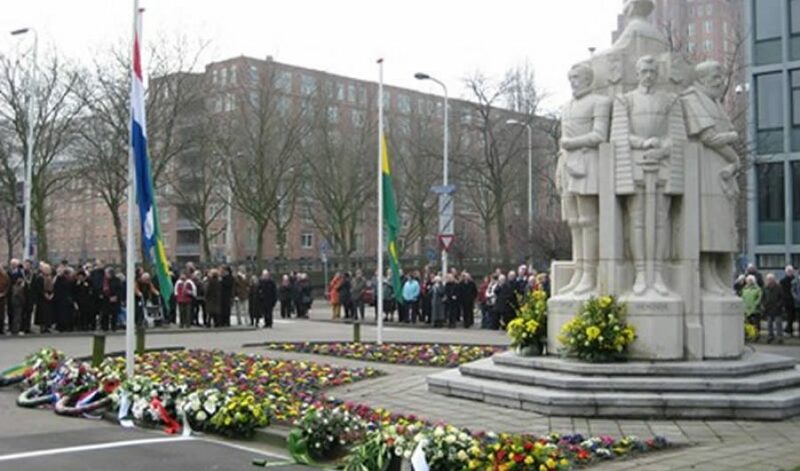 Commemoration of the bombing at 3 March 1946 (Photograph: Theo Meijer). 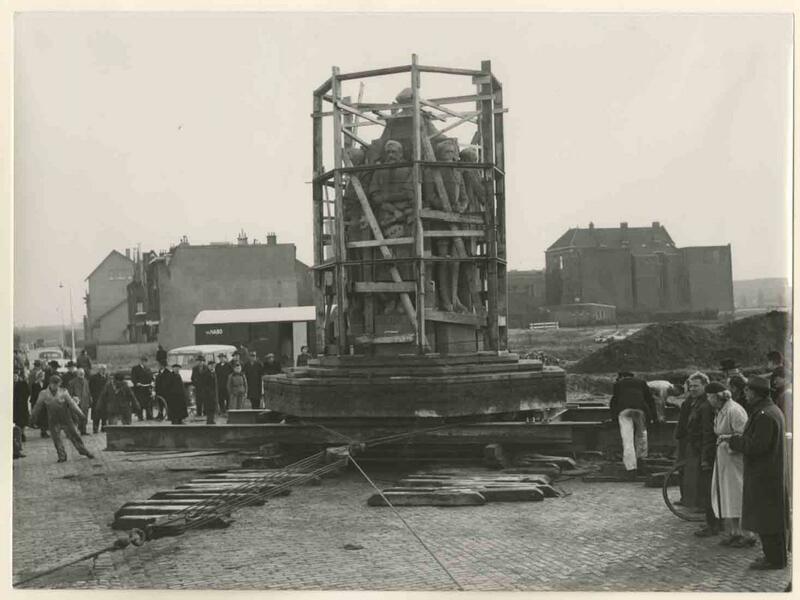 Moving the monument to its current location. Floral tribute at the monument in honor of the victims (2009). 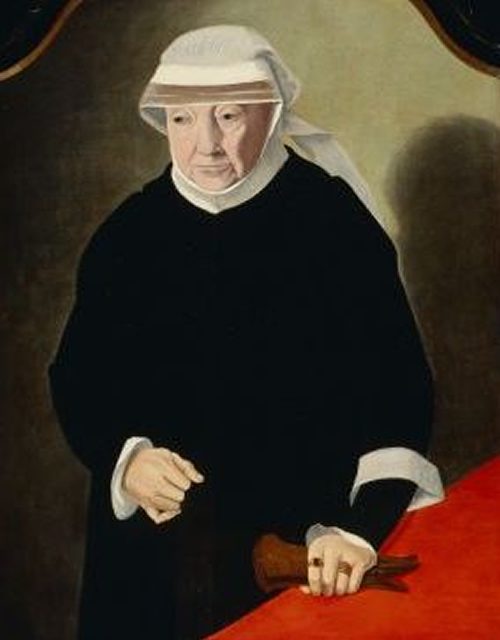 This is the memorial of Juliana van Stolberg (1506-1580), the mother of William of Orange. 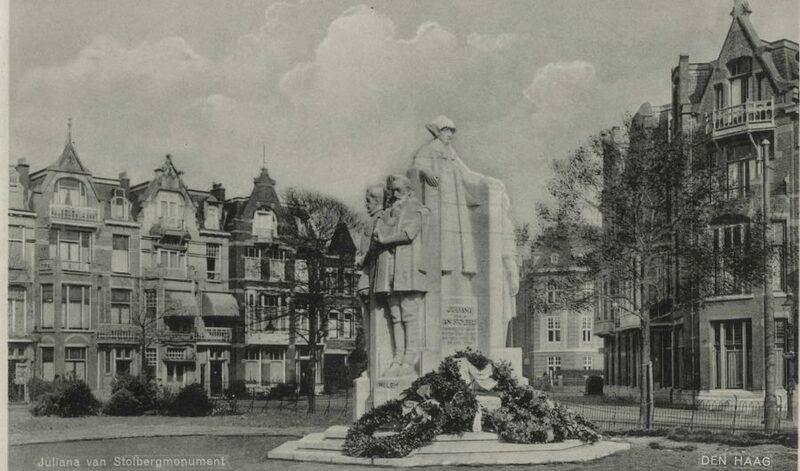 It was unveiled on the Louise de Colignyplein in 1930. 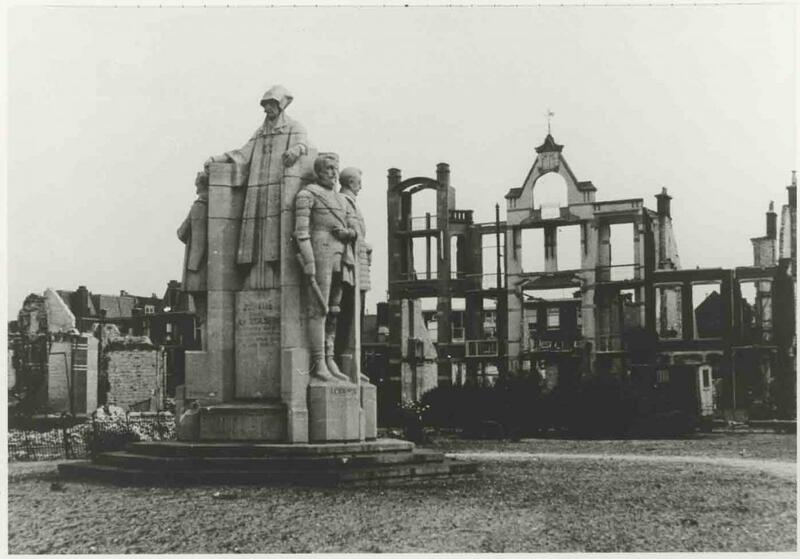 The monument survived the bombing and moved to this location in 1954. The floral tribute to the victims is held here because it is a remnant of Bezuidenhout from before the war. 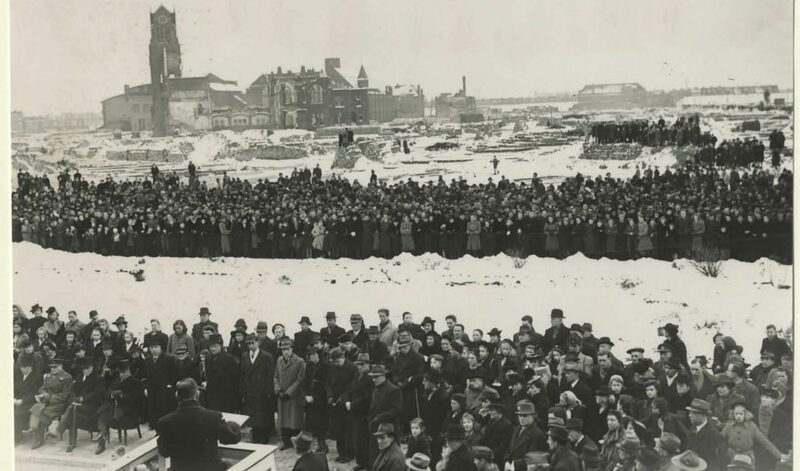 The first remembrance was held exactly one year after the bombing, on 3 March 1946. 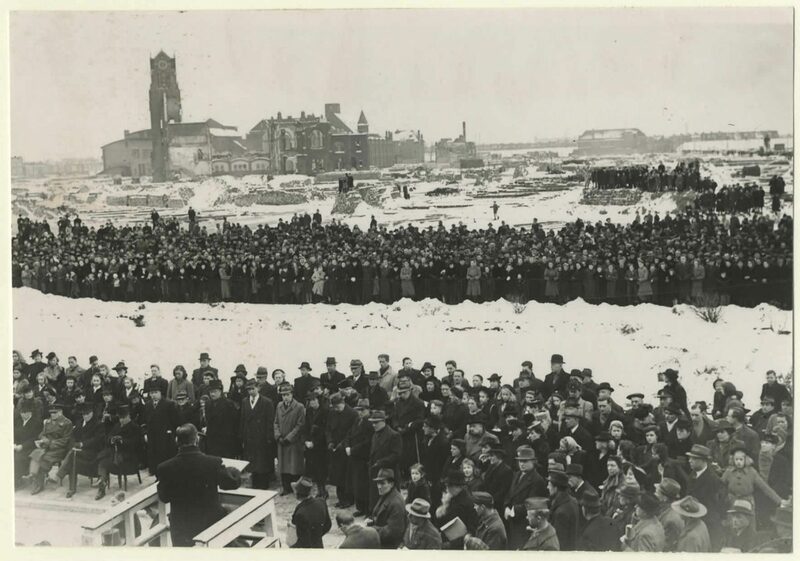 A large group of people gathered on the plain, where the only reminder of this beautiful residential area was a few ruins. The photo clearly shows the steeple of the Wilhelmina Church rising above the remnants of a few buildings. This commemoration has become a tradition. Every year on the first Sunday in March, the residents of Bezuidenhout congregate at this spot. To remember more than 500 fellow residents that died in the bombing. To meet old friends and neighbours and to recall old memories. And to pause for a few moments, recognising that in just a few minutes a war can change your surroundings for ever. The Mayor of the Hague, Jozias van Aartsen, at the remembrance of the bombardment, on 7 March 2010. 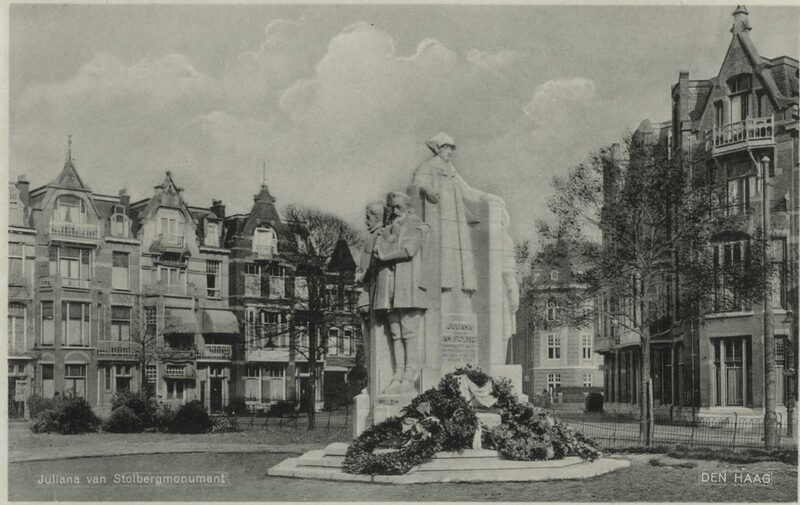 The memorial of Juliana van Stolberg at the Louise de Colignyplein. 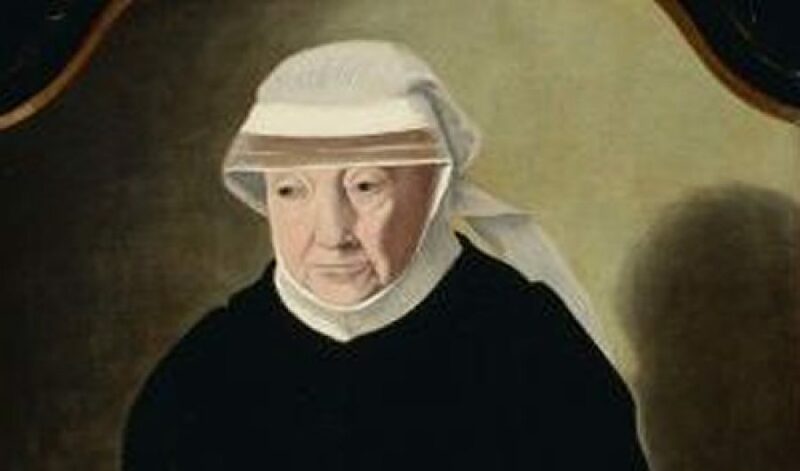 Portrait of Juliana van Stolberg (source: Digitaal Vrouwenlexicon van Nederland). 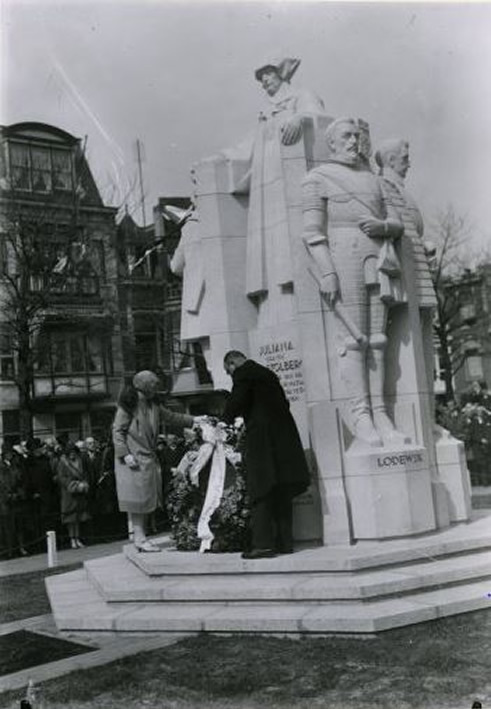 Unveiling the memorial of Juliana van Stolberg at the Louise de Colignyplein. 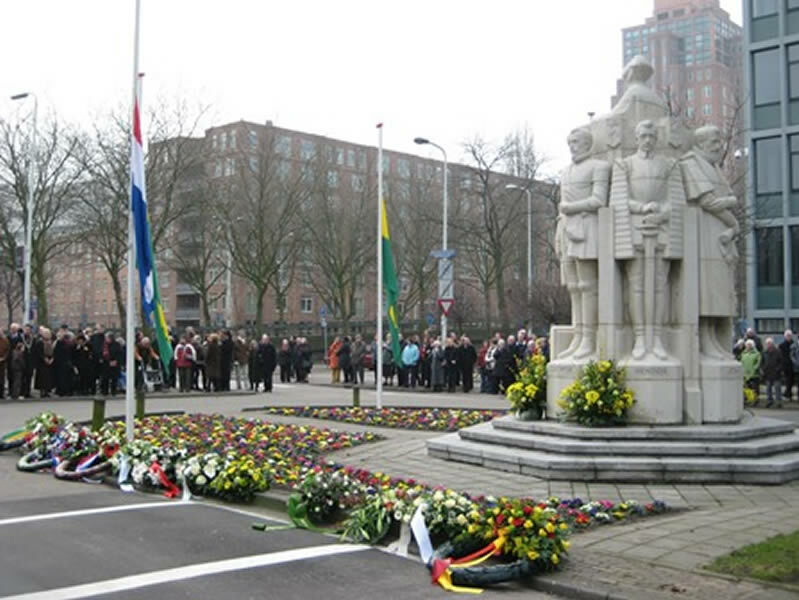 Her royal highness prinses Juliana puts a garland near the memorial. 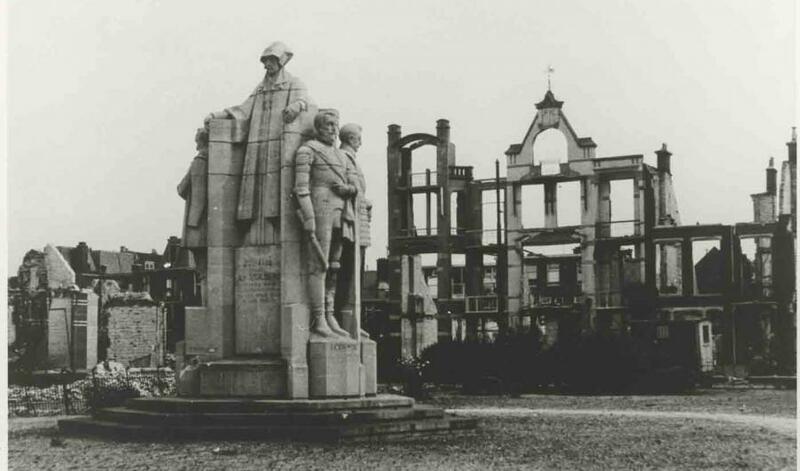 The destroyed Louise de Colignyplein. First remembrance of the bombardment at 3 March 1946. 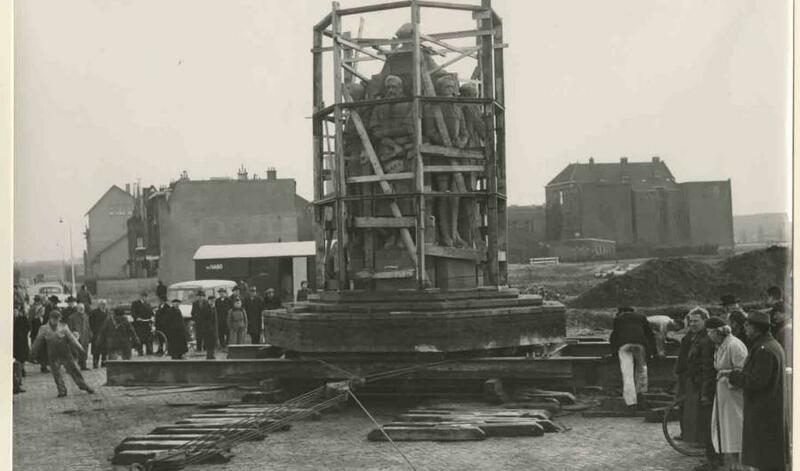 Moving the monument to its current location (1954). Floral tribute at the memorial commemorating the victims of the bombardment (2009).